The cloud is everywhere. Many businesses are unaware of the benefits that cloud computing can offer in the form of server and infrastructure hosting. Many small and mid-sized businesses can see benefits from adopting QuestingHound Technology Partners' hosted solutions into their company computing interface. 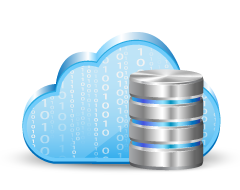 Our data center provides you with reliable access to your servers that will set a new standard for business computing. Forget about the maintenance and upkeep on your network, our respected IT professionals will handle it all. As with our other hosted solutions, QuestingHound Technology Partners' cloud environment is extremely flexible and delivers the computing resources that you require to be the most productive business you can be. Aside from the cost reduction your organization will see from QuestingHound Technology Partners' hosted server and IT infrastructure solution, you will experience added agility that will take your business to the next level. Having access from any files or applications housed on our data center, from anywhere, using almost any device, promotes the mobility that many small and mid-sized businesses are seeking in today's competitive marketplace. QuestingHound Technology Partners offers a complete set of options for your company to move your entire IT infrastructure to the cloud. This includes a full set of secure options such as data storage and virtualization of your current desktop configuration. With QuestingHound Technology Partners' managed hosted IT infrastructure, you can move your company forward with the tools they need to be productive, while still maintaining a cost reduction. You will no longer have to worry about hardware and software upgrades again. For more information about our Hosted Infrastructure solution, as well as any of our other expertly-managed IT services, call us today at 954-727-2200.